wala na sakin to. its with our vocallist. im from up so halatang di akin dahil sa ateneo sticker. 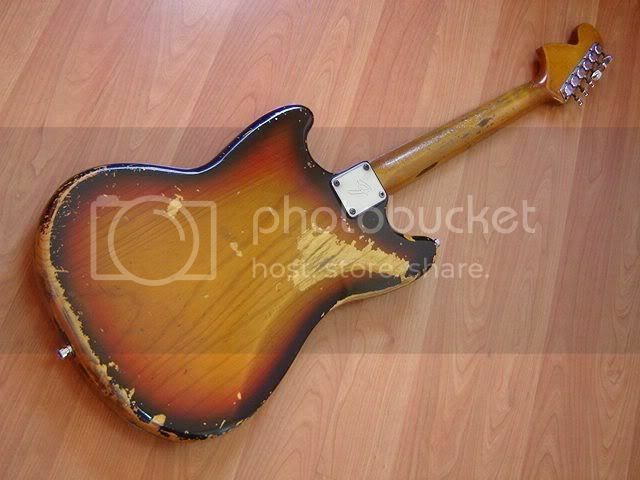 since then i scraped off the lettering sa pickguard. it looked like crap. 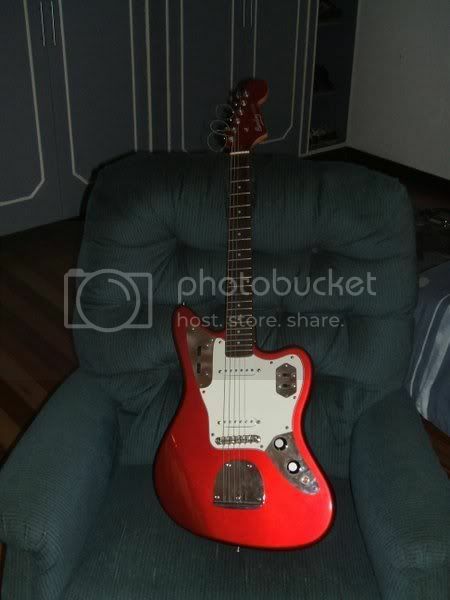 sana madagdagan ng mga pix..
nice Jaguars... how i wish i have the real thing.. but this is all that i have and so far.. sounds good! 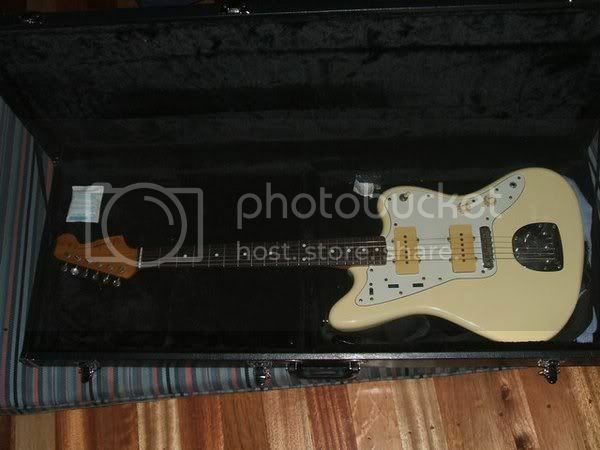 hehehehe..
Squier Jagmaster.. (Jaguar + Jazzmaster) hehehe..
Mr. J, Hehe sige yup mag post ako ng pics mamyang gabi. Yung baritone naka 9's yung standard niya nung nabili ko. 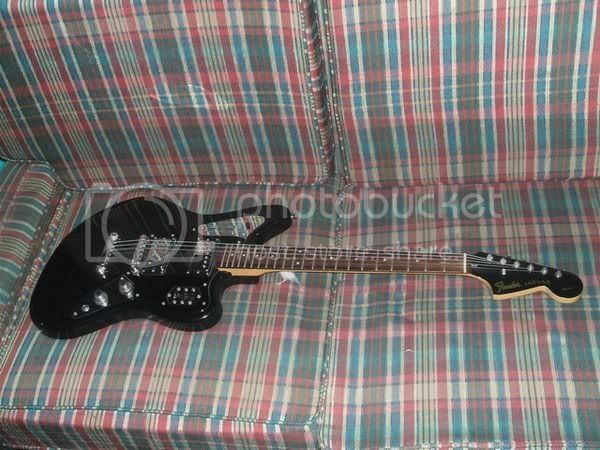 Ok yung tunog niya humbucker siya pero tunog jaguar padin. Eto sample ng sound niya. Naghahanap ako ngayon ng JAGSTANG hirap lang maka spot. ginagamit ko naman. hehe. sarap nga eh. brass nut and saddles. Ganda ng pag upgrade mo sa jagmaster! Astig men. 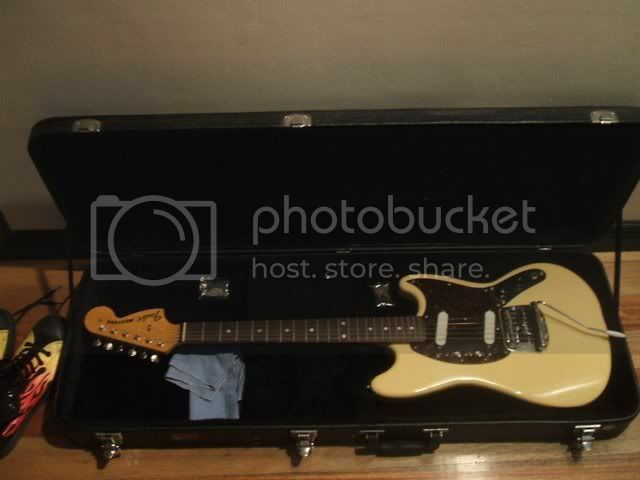 Baritone! Salamat nagustuhan niyo un tugtog namin hehe, Ano banda mo dude? Vintage na vintage yung dating. 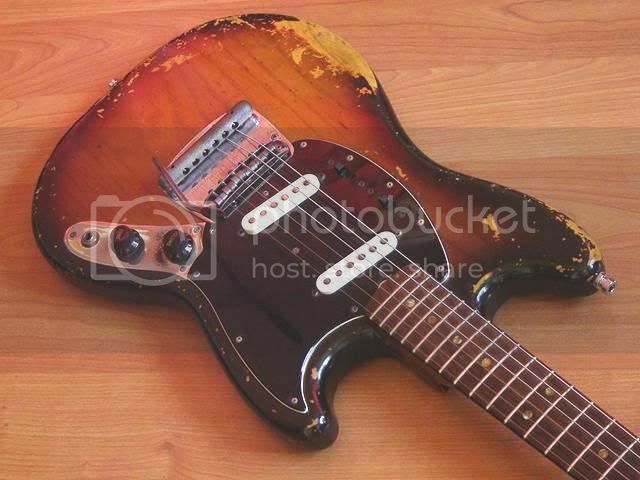 I don't own an offset-waist guitar, but I certainly am fascinated with 'em. Ganda ng tone niya, grabe. @ The Nong : yan ba yung galing ke Drick? Ganda sir! 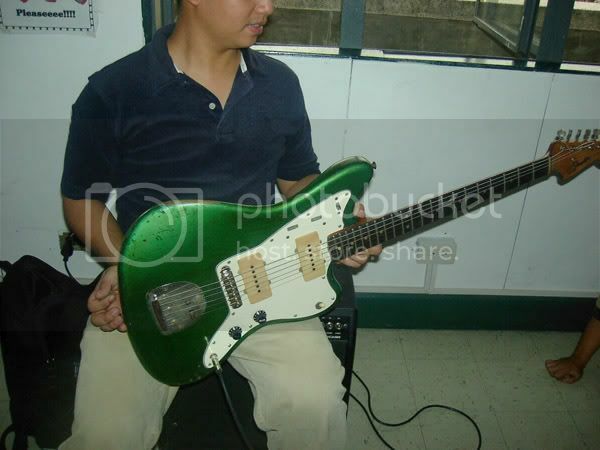 Pwede mo syang ipa customize para maging Jazzmaster or Jaguar. 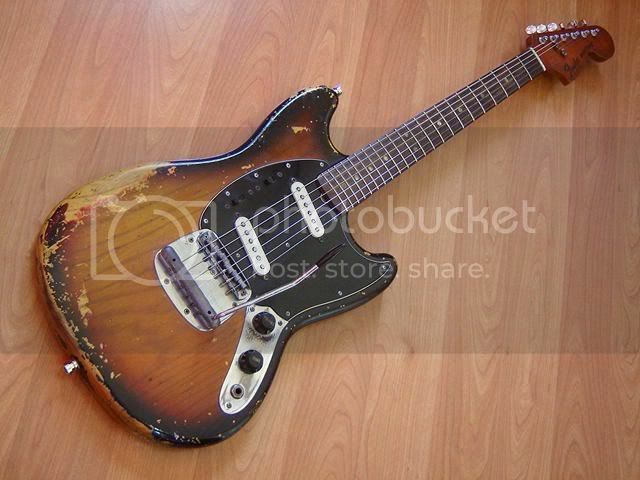 guys, you know where i can get a black pick guard for my Jagmaster? 3-ply or single ok lang..
very very beautiful sir! me mustang ka rin pala! OMG , yes ill probably regret it too if i had this and let go of it. 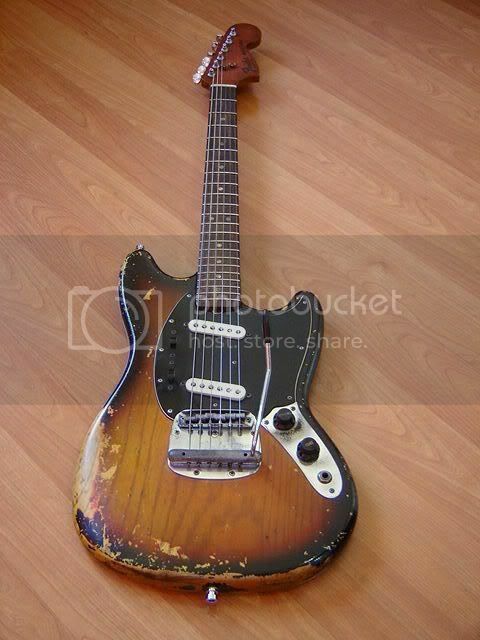 If anyone has extra mustang saddles please PM me coz i need one for my Jaguar to fix the buzz problems with the stock saddles. It's hard to find one in the net. I tried ordering but hard stuff indeed! And i'm not keen into filing deeper in the stock saddle's grooves. 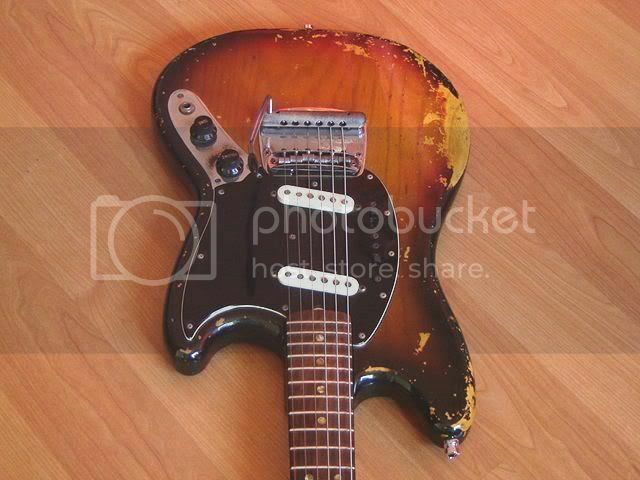 ^^ Dude, have you checked out the Warmoth site?